National Day Nurseries Association (NDNA) Cymru has embarked on a new project to support unemployed young people into a career within the early years and childcare sector. NDNA’s ‘Childcare Works’ programme provides supported employment to 32 participants aged 18 to 24 in three key areas to reduce the number of people not in employment, education or training (NEETS). NDNA Cymru is supporting participants in Blaenau Gwent, Caerphilly and Rhondda Cynon Taff by giving them a range of transferable skills and knowledge to enable them to secure employment or further training. This project is supported by the European Social Fund through the Welsh Government. NDNA has been successful with funding from the Active Inclusion fund which is managed by the Wales Council for Voluntary Action (WCVA). Stella Ziolkowski, NDNA’s Director of Quality and Workforce Development, said: “This project is an excellent way for young people to gain skills and work experience within the sector with a good chance of a job at the end. “It should also help to address a lack of childcare provision in some areas of Wales and support settings who are looking to offer the 30 hours Childcare Offer for Wales. 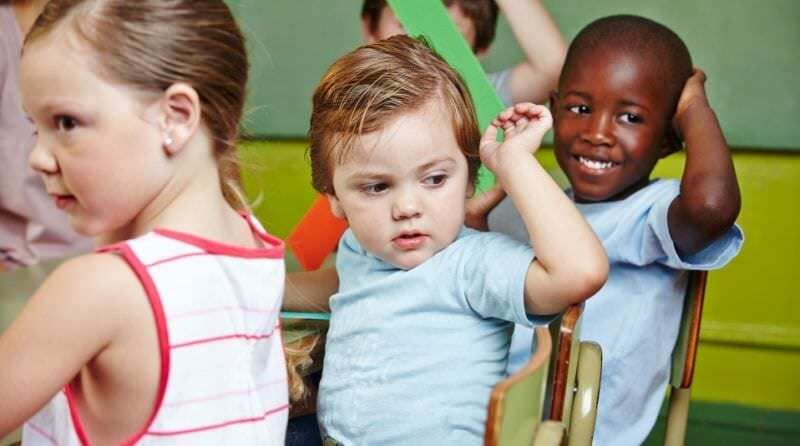 Cabinet Secretary for Communities and Children, Carl Sargeant said: “Developing a skilled childcare and play workforce, which is highly regarded as a profession and a career of choice is vital in supporting our children’s development. Minister for Skills and Science, Julie James said: “Ensuring young people have the skills needed to enter the childcare sector will not only provide the support they need in securing employment or further training, but will also be vital in helping them to nurture and develop children’s progression.